The doors at your self-storage facility are sending a message to both your current customers as well as prospective tenants. What are they saying? Are they aging and looking haggard? Are they giving the wrong impression about your business? That’s why Janus International has created a state of the art door replacement program as part of our R3>: Restore, Rebuild, Replace Program. We handle the legwork and heavy lifting of each element on a door replacement project, from assembling and dispatching install teams, to the discarding of the old doors. Outmatch your competition. Part of being an excellent self-storage owner/operator is taking constant stock of your competitor down the street. Everyone is trying to market themselves as the best and brightest facility, so how do you stack up? Having a store filled with brand new, well-functioning roll-up and swing doors puts you in a position to market your business as the best option for new tenants. Higher rental rates. When you’ve got fresh doors, you can charge more – that’s the honest truth! On average, a renovated unit could generate a $5 per month rent increase, multiplied by 100 units, equals $6,000 per year in new revenue. At this rate, can you afford not to have a door replacement? Painting just covers a problem. Throwing a fresh coat of paint on a rickety door fixes everything, right? Nope. You need to address the issue of aging and malfunctioning doors by doing a full replacement, not just slapping on a Bandaid. Adding paint only pushes more weight onto a door, which takes you further away from ADA requirements and puts your tenants in danger. Janus doors are in full compliance with ADA regulations and only need 5 lbs of pressure to operate. The options for a hallway system from Janus are basically endless! 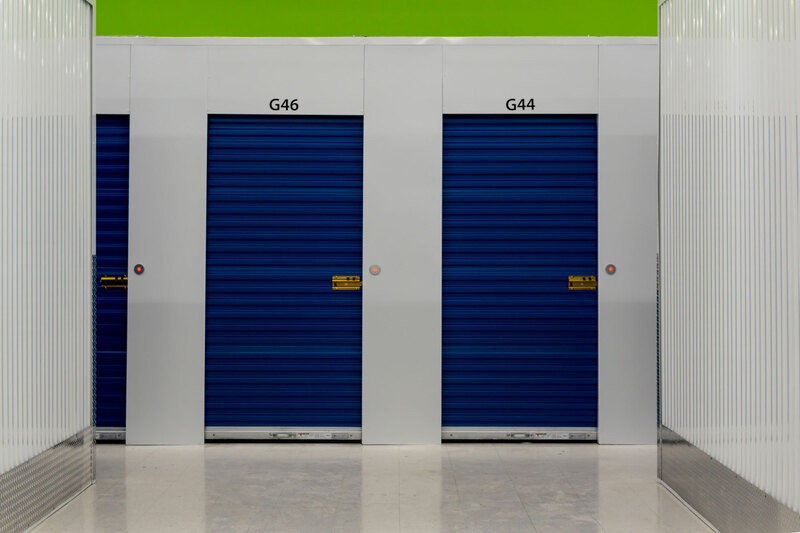 We offer traditional roll-up doors, swing doors, wine storage, and locker systems. Interior roll-up. This variety of our hallway system has hemmed edges for smoother surfaces that you can both see and feel. These hems extend to the starter angle, mid span, kick plates, corner guards, side channels and angles. This translates into a hallway that has a completely finished look and takes away potential hazards that could accompany exposed edges. French Oak collection. If you want to take your wine storage space to the next level, our French Oak hallway system is for you. The signature Janus lockers are covered in a wood-grain mimicking paint that instantly transforms your space from ordinary to sleek. Locker systems. 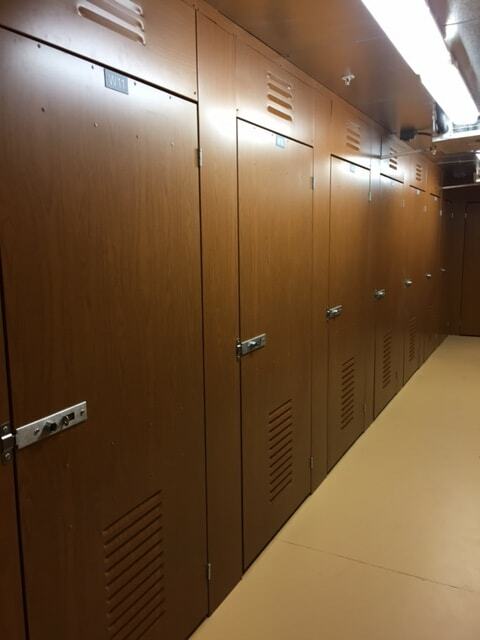 Our lockers are a perfect addition for cramped spaces in your facility that wouldn’t normally house a storage unit. These cost-effective locker units can be especially appealing to younger clientele who only need to store a few items, or for tenants that need a cheaper option for a unit to rent. Swing Doors. Add some variety to your unit mix by bringing in a swing door hallway system! These alternatives to roll-up doors offer X-bracing technology that reduce door racking. They also open up 180 degrees and can be a perfect fit for customers who only need a 5x5 or 5x7 space.